Bats are necessary for keeping many types of crop-eating insect populations from swarming, and their populations are becoming dramatically reduced due to the widespread use of pesticides on our crops. Researchers from the University of Tennessee tracked populations, eating habits and migration patterns of Brazilian bats (Tadarida brasiliensis), and compared them to the patterns of corn earworm moths (Helicoverpa zea) through multiple seasons. They determined that the bats tracked and migrated with the moth infestations, and fed off of the moths where they gathered – among corn crops. The bats were found to migrate to moth infestations, dramatically reducing their populations. 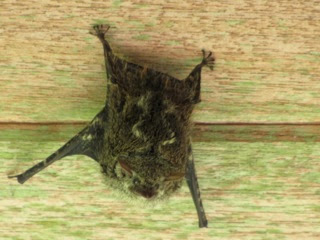 The evidence provided confirmation that bats are lethal predators of these and other pests that threaten our crops. Read the entire article.